Comic books are not for kids. They are not for "geeks" and certainly are not for girls. Comic books are not for fans of serialized drama or action movies. Comic books are for everyone. One of the most important things to happen in comics in the past few years has been the rise of all-ages books. First and foremost, all ages comics aren't meant specifically for children. Some of the art or structure usually is cartoony and may appear to be "kiddy" but in these books, story always comes first. The approach of all ages titles in comics in my best comparison would be that of a Pixar movie. Pixar movies are all obviously animated and heavily stylized animation but first and foremost the focus is to tell a story that appeals to a huge group of people. Kids, adults, teenagers -- anyone who gives them a chance. The best way to tell a story to younger kids is to not dumb it down and treat kids like they are stupid, and in that way it works for the older crowd because they can still appreciate the jokes and humor in the book without feeling like it was intended for a four-year-old. All-ages books can be enjoyed by children just as much as by parents, siblings and others. Lots of creators recently in the past few years have been doing a great job providing books that people of all ages can enjoy. Free of the threat of gratuitous violence and bad language and adult themes which have become all too common in comics. I got to speak to a few of these creators who for the most part, make a living at telling stories for everyone both young and old. They lead the charge and have as much passion, if not more about comics than most. People tell me that 'when I was a kid we just had comics -- not kids comics,' and my answer is always I like that there are a multitude of comics to choose from now. It shows how much our industry has expanded! I'm known for creating mostly "kids content" but the truth is I create fun content. You have different genres of comic books, horror, superhero, etc. and each has it's own place, so I never looked at kids comics as just for kids, I've always looked at them as fun comics for everyone. I strongly feel that all ages comics are a genre themselves. 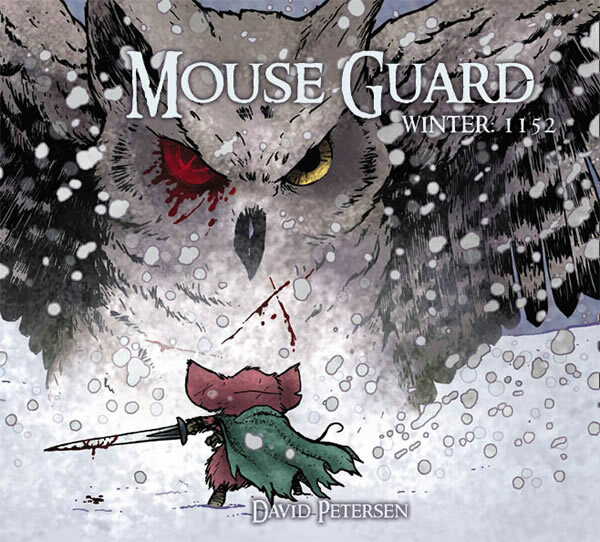 David Petersen is the creator, writer and illustrator of the award winning Mouse Guard, an all-ages book by Archaia Studio Press. What all ages books do best is they don't discriminate. They widen the audience without necessarily succumbing to a lowest common denominator. If I were to set the target audience to say a 4th grade reading level, I would probably already cut out about 1/3 of all the fourth graders around because they have tested at a higher reading level and will be bored by my restricted vocabulary and the sense of the text talking down to them. And needless to say I've cut out most everyone above that age range as well. Where if, instead, I make an all ages book where the concepts covered are not inappropriate for that age group, but I use a higher vocabulary level, the child will either be challenged and figure it out on their own through context, or ask for help. I love that Mouse Guard is a book parents and their kids read and enjoy together. Chris "Elio" Eliopoulos is an an illustrator and comic artist from Chicago. 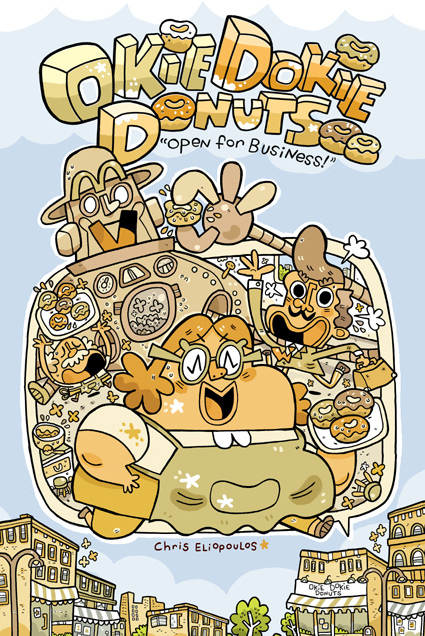 He is the creator, writer and illustrator of Okie Dokie Donuts published by Top Shelf Productions. If a kid loves comics, chances are, he/she will want to make his/her own. I see this happen all the time. There is something inviting about comics and cartoons. A good book inspires kids to doodle and tell their own stories. 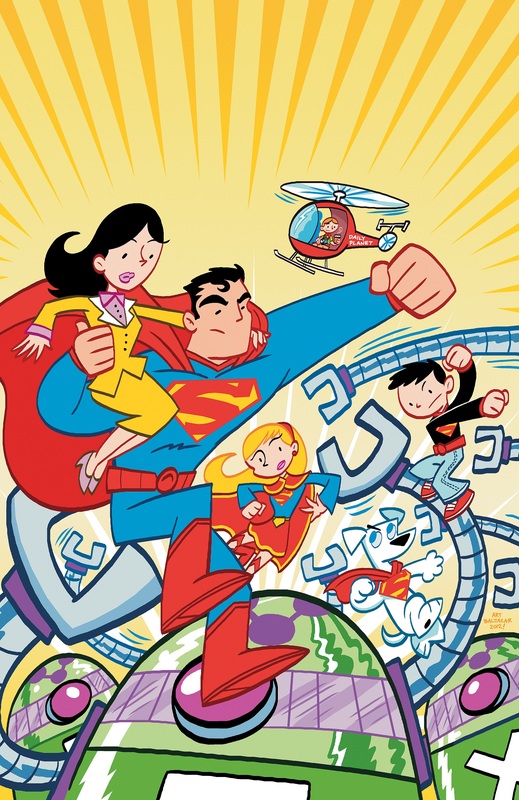 I think it's important to have all-ages comics around because it can be a gateway to get kids not just into reading, but also writing, drawing and other creative avenues. It's great to see how much passion and thought these creators put into their work and realize the importance of not limiting your audience and telling stories that almost anyone can enjoy. All of these books and many, many more are all available at your local comic book shop and library!